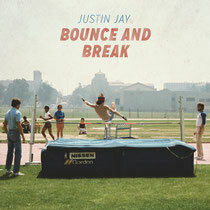 Los Angeles' rising underground talent, Justin Jay, recently released the preview of his long-awaited single, ‘Bounce And Break,’ that is set for a free release on Wednesday, 6 August. In celebration of his HARD Summer performance this weekend, this Dirtybird-affiliated house music producer is giving back to clubbers with his song that caught the attention of lots of people after Claude VonStroke opened his set with it at last year's festival. In ‘Bounce And Break’ Justin takes listeners through a fresh take on his low-end heavy sound, crafting tribal rhythms, distorted synth lines, and a halftime breakdown around the original DJ Spinn sample. Catch Justin Jay live this Saturday from 3:05-4:05pm in the Pink Tent at HARD Summer. Meanwhile, check out ‘Bounce And Break’ below.